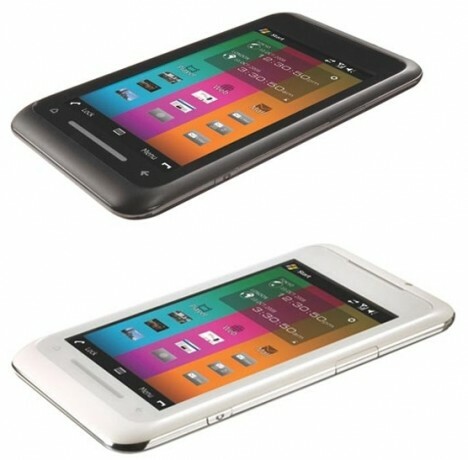 Toshiba has revealed its TG01 smartphone which is said will be genuine competitor to the iPhone’s throne. With the World Mobile Congress still weeks away, Toshiba has got ahead of the crowd by showing off the Qualcomm’s 1Ghz Snapdragon powered TG01, and that will make it the fastest device on the market. The Toshiba TG01 comes with a 4.1 inch WVGA touchscreen display with a resolution of 800 x 400. The Smarthone also features HSDPA, 3G, WiFi, GPS and a microSD card slot. TG01 will run Windows Mobile 6.1, with a custom UI designed by Toshiba. The phone control is made to be interesting, such as you will be able to answer or finish a call by shaking it. The Smartphone has a virtual trackpad on the screen and uses Toshiba new technology G-sensor, which allows you to tilt the phone and navigate around a central spot on the screen. The phone looks impressive from its specifications. It is expected to be available in the market this year summer.